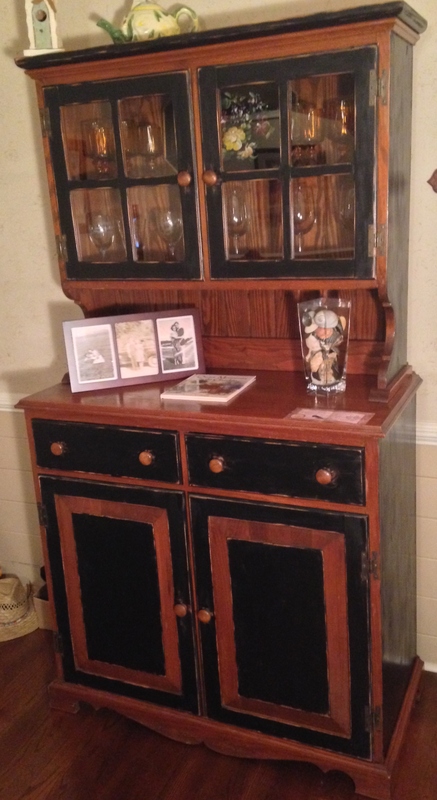 Several months ago, well, maybe a couple years ago, my wife asked me if I would refinish the Hutch and table I had built for her the first year we were married, 43 years ago. She wanted it to look more Amish like. She had ideas in her head of what she was looking for. She attempted to describe them to me and expected me to transfer those descriptions to the furniture. I have resisted for a long time and finally decided to delay no longer. I am delighted to say that after a few weeks of work on the “almost antique” furniture the project is nearing completion. And I am glad that it no longer falls into the unfinished project category. For several months there has been a line of old chairs along the fence in my backyard. They are chairs salvaged from the cleanup and restoration project of our new ministry center. 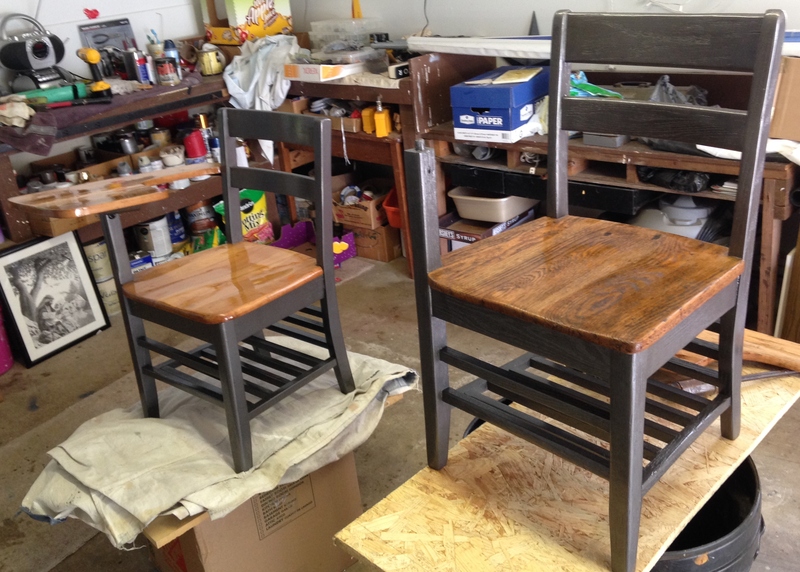 Since last year it has been my intention to begin restoring these chairs and putting them to use. Finally the project is underway. 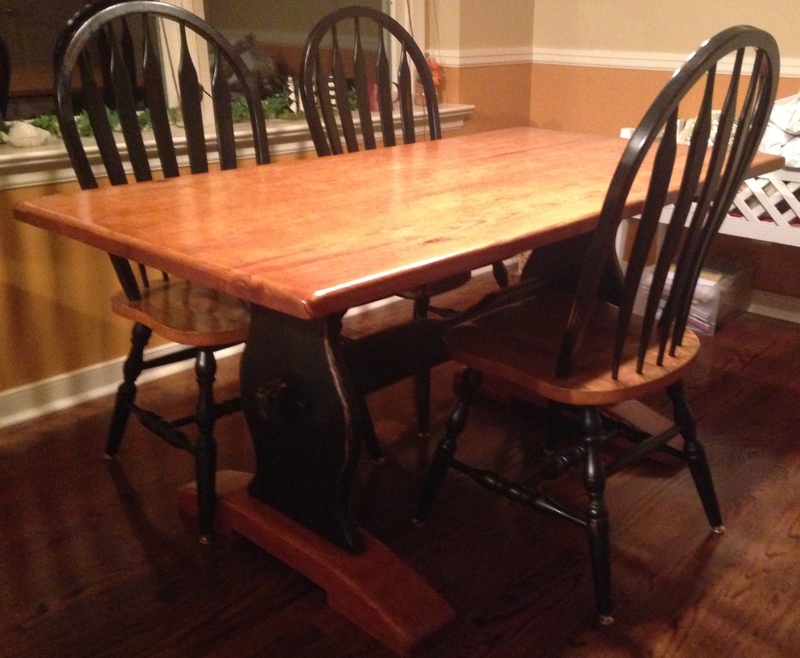 Two chairs to date have been completed and a third is in the restoration pipe line. 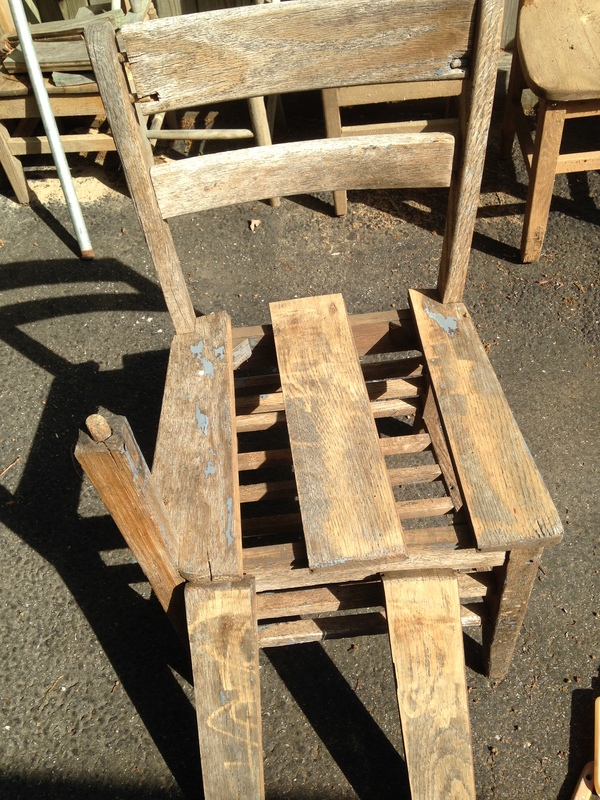 Though the chair restoration project has a long ways to go it is at least moving forward. Do you finish everything you start? I imagine not. And to be honest, some things are worth finishing. But don’t think, even for a second, that you can put God in your collection of unfinished projects. For starters, he isn’t a “project.” Besides, he’s not going to sit on a shelf contentedly waiting for you to give him your attention once the kids are grown or the retirement is funded or other task are completed. The Israelites learned that lesson the hard way. 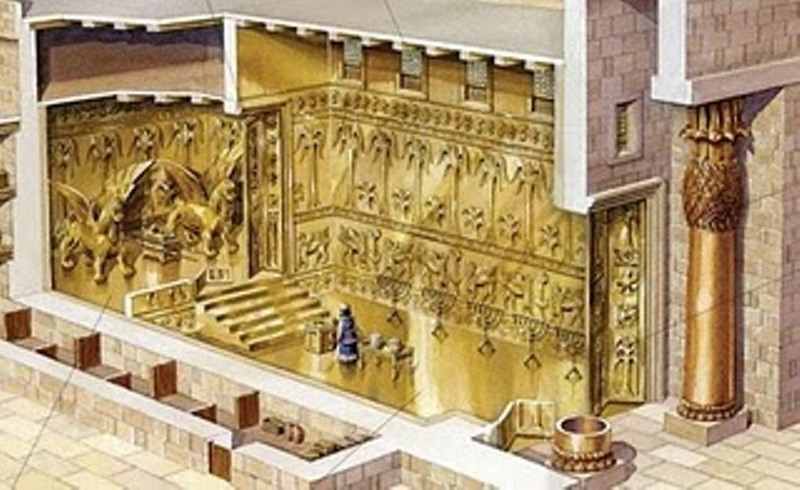 They returned from Babylonian captivity to rebuild the temple. They started strong but in time turned their attention to other endeavors. What was important to God became unimportant to them. 16 years past without any work being done on the Temple. So God allowed drought and downturns and difficulties to come upon them. And he said, “give careful thought to your ways” (Haggai 5:7). God is either the main thing in your life or he is nothing. At the end of the day, each of us are responsible for our own schedule. There is really no such thing as partial obedience. God begins as the priority and then we scheduled time with him and around him. We schedule the things that are important to him. Jesus said, “seek first the kingdom of God…” (Matthew 6:33). 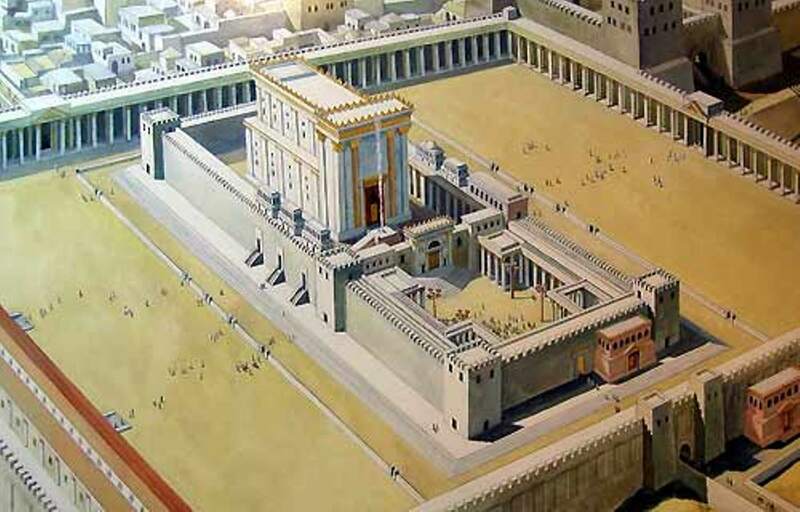 The Jews eventually got back to God’s priorities and took part in one of the greatest works of heaven. You can to. There are some things worth finishing. Get on with it. I think that’s a partial myth that needs to be debunked. There are actually two sides of the mythical coin associated with the ordinance of baptism. One is that baptism in and of itself saves you. Parents tell their children, “Of course you are a Christian, we had you baptized shortly after you were born”. The implication is that infant baptism, performed against your will, was sufficient to forgive your sins and guarantee you eternal life in heaven. Some treat immersion as an adult in much the same way. They will say, “Of course I’m saved. At age twelve, I was baptized by immersion at the end of a new member class.” Again the idea is conveyed that baptism alone makes a person a Christian. This misconception is termed, “Baptismal regeneration” in theological circles. Ephesians 2:8-9 clearly teaches that salvation is granted to those who choose to place their trust in Jesus’ atoning death on the cross and not their own goodness. “For it is by grace you have been saved, through faith- and this not from yourselves, it is the gift of God- not by works, so that no one can boast.” John 3:16, Romans 3:28, Romans 10:9, Hebrews 11:1 all make it very clear – the first step of obedience is to place our faith in Christ. The other side of the coin is the very popular misconception that since we are saved by grace through faith, baptism has nothing to do with salvation. 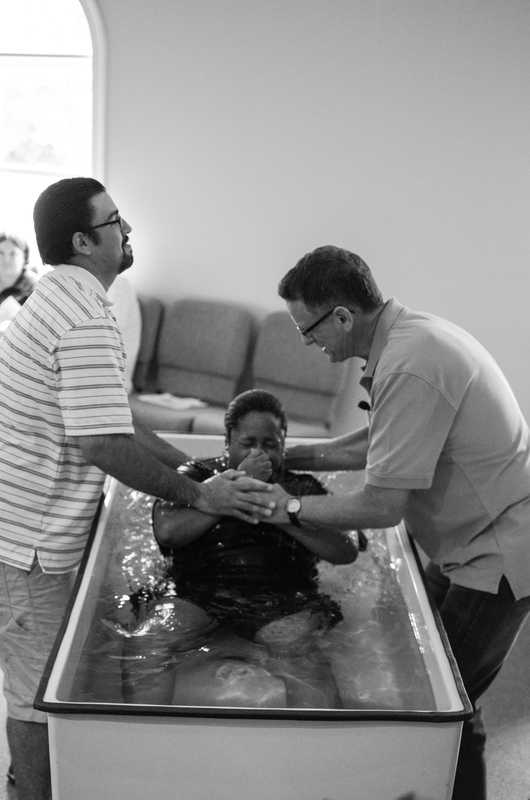 Baptism is just an act of obedience. We trust Christ then, sometime later, we are immersed in water as a symbol of what happened to us when we were saved. But the ordinance of baptism is more than an act of obedience. It’s more than a symbol or, “an outward sign of an inward grace.” Baptism was originally intended to be a means of receiving Christ’s grace. It’s a God-given benchmark that testifies to the fact that we are beginning a new life in Christ. When Jesus healed people, He often requested an act of obedience as a test of faith. “Go show yourselves to the priests”. “Go wash in the pool of Siloam”. “Stretch forth your hand”. When the needy persons obeyed, they were healed. Their efforts didn’t heal them, Jesus did. But their step of faith was when they were made whole. In New Testament times when needy sinners put their faith in Christ they were not commanded to repeat the sinner’s prayer, raise their hand or sign a card, although those responses can be helpful. Those who believed in Jesus were instructed to repent of sin and be baptized. And they responded by doing so as soon as possible. Acts 8 – When the Treasurer of Ethiopia believed that Jesus was the long-awaited Messiah he requested that the evangelist Philip baptize him immediately, in a pond along the road he was traveling. Acts 16 – The Philippian Jailer was told to, “Believe on the Lord Jesus Christ and you will be saved”. Then he and his family were baptized in the wee hours of that morning. Someone may protest, “Are you saying that a person can’t be saved without being baptized?” What about the thief on the cross? He was saved and Jesus said nothing to him about being baptized.” Yes, but he was still living in the Old Testament dispensation – the blood atonement and bodily resurrection hadn’t yet been completed. Jesus, God in the flesh, promised the dying thief he would be in paradise when he requested it.